I pulled that picture from a Verge article, check out their article as they have some great photographs. 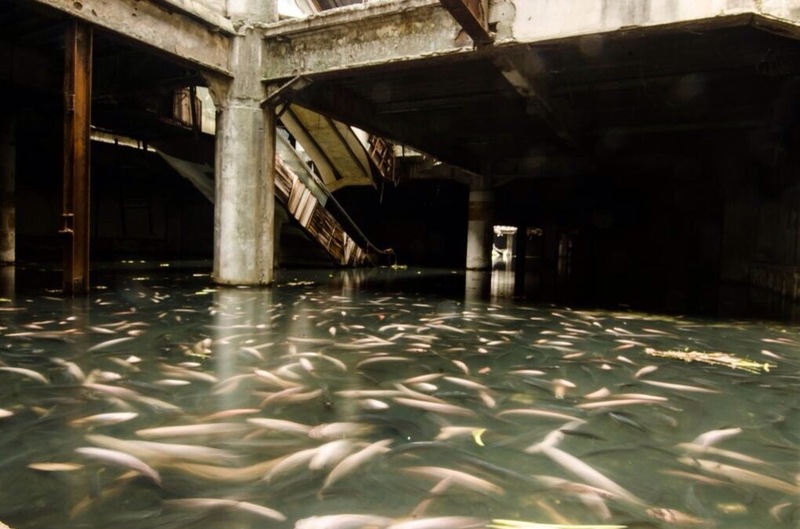 Bangkok has loads of abandoned buildings, what makes this one special is what appears to be a sizable fish pond, a fish pond that began as a ‘solution’. The story goes something like this: abandoned shopping mall has a big hole in the roof, rain water enters, mosquitos begin breeding in the standing water, locals put fish in the water to eat the mosquitos, fish multiply, abandoned mall becomes ‘off the beaten path’ sightseeing destination, word spreads on social media, fish pond in abandoned shopping mall becomes popular….and now government agencies close access to the building for safety reasons. I missed out on seeing it. My takeaway: the locals knew the building wouldn’t be torn down and there wouldn’t be any relief from the breeding mosquitos, so they created their own solution, something that happens a great deal in Thailand. Image | This entry was posted in Bangkok, photographs and tagged abandoned building bangkok. Bookmark the permalink.